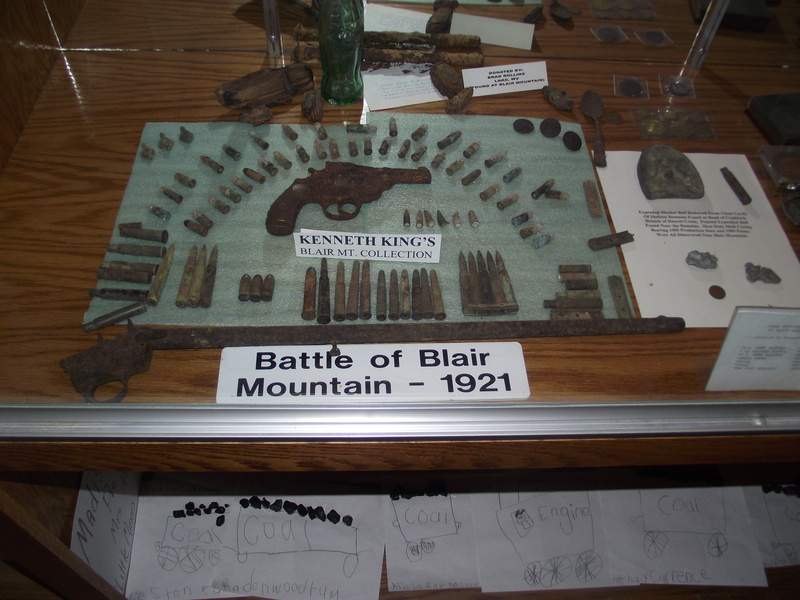 Kenneth King is the leading archeologist and studier of the battlefields that surround Blair Mountain and has collected many artifacts from various sites. These particulars can be found at the Coal Heritage Museum in Madison, WV. What makes this impression is the collection of various bullets, AEF buttons, spoons, whistle, etc. Also, this makes note of the Gatling Gun that the miners had successfully stolen from one of the mining companies and used it against Don Chafin’s militias. Of other interest is the Coca Cola bottle.